If we don't have your car here, we have over 450 patterns to choose from, and are constantly adding to our collection. Don’t see yours here? Get in touch and we will assist you. 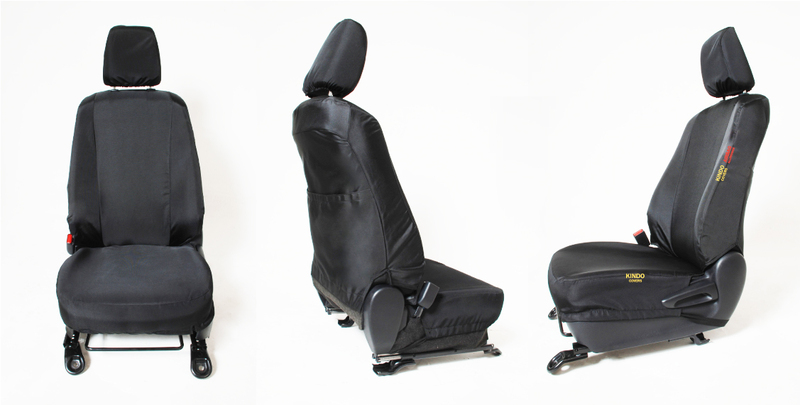 We make custom-fit seat covers to fit the most popular cars, trucks, bakkies, vans, SUV's, transporters and more. Our materials and constructions are carefully selected, right from the threads and fabrics, to ensure quality, durability, and ease of maintenance. We have over 450 unique templates to ensure that every car seat fits to precision. We don't compromise on safety. Special stitching is used in our seat covers to make certain that your side impact airbags deploy as intended. All our covers are made to allow for all original seat functions like moving, folding, split seats, sport seats, Isofix openings, Airbags, etc. What is the best fabric for seat covers? From the start, we committed ourselves to providing our customers with the highest quality fabric. When you consider the amount of wear and tear the average vehicle seat endures, durability of fabric was at the top of our list. Our fabric has been exclusively developed together with South Africa's leading fabric mill. It took over six months of rigorous testing to develop it to a point we believe it to be indestructible. Scientific testing has shown it to well surpass all standard norms for rub and tear strengths. The cleverly designed coating both increases strength, whilst allowing for breathability. While getting in and out of your vehicle may seem like a harmless operation, it is, in fact, putting a lot of stress on your seats. Like sandpaper on a jagged block of wood, the texture of your clothing grates against the texture of the upholstery (leather and cloth alike). This constant friction steadily wears away at your upholstery. As time passes, the strength of the leather or fabric starts to wane, and it will eventually start becoming threadbare, torn and split. Luckily this can easily be avoided with a quality set of KINDO Seat Covers. Leather is especially susceptible to sun damage because UV radiation dries out the natural oils in the leather. Without these oils keeping things moist, the leather will eventually start to crack. Cloth upholstery is also in danger. Direct sunlight on your fabrics has a bleaching effect. Where once your seats were dark blue or black, sun exposure can leave your seats looking purple or ashen. Since you can't always park in the shade, you can give yourself year-round protection with KINDO Seat Covers. Our unique fabric offers high water repellency. Just as with outerwear, at some point due to normal use, the effectiveness of a fabric’s ability to repel water will diminish. You can restore the fabric by spraying with Scotchgard. Our designs offer the perfect fit to your vehicle and can be embroidered with your Company’s logo to give a professional finish. We can customize your KINDO Seat Covers to include your company’s logo. This provides a professional finish for your brand.